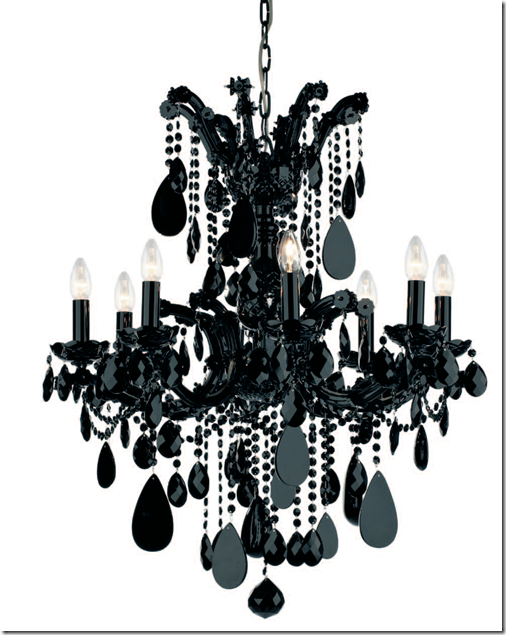 I suppose my love for black chandeliers comes from the versatility of the product. 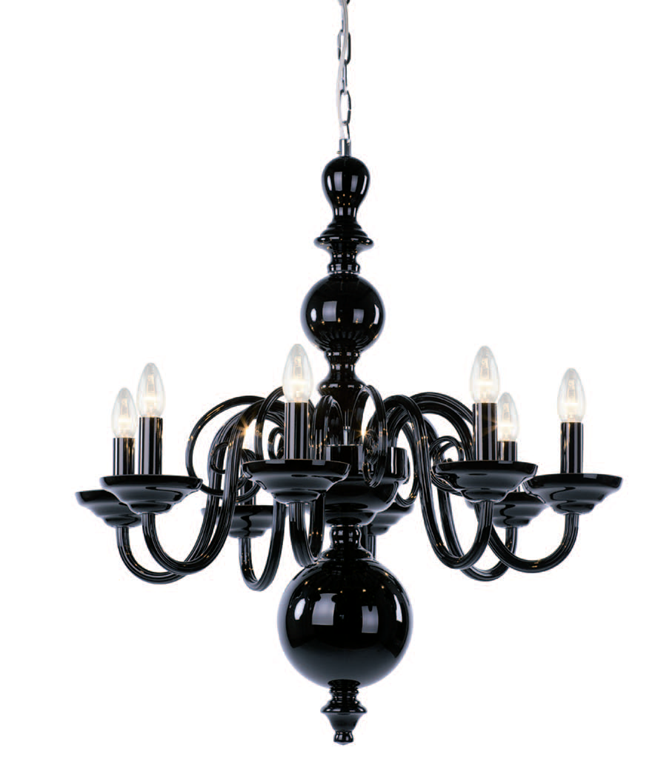 Many rooms are incorporating black elements naturally and it should be equally natural to dress the room with a black chandelier. Sadly it is rarely the case. 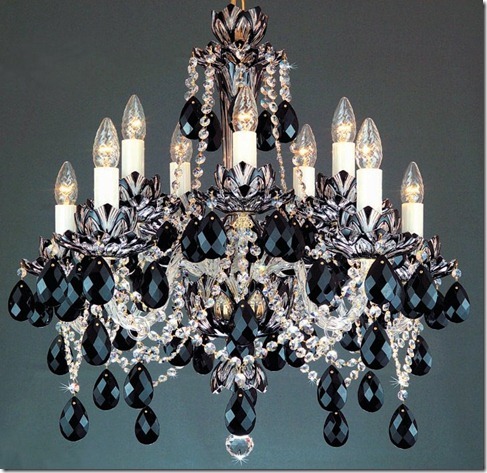 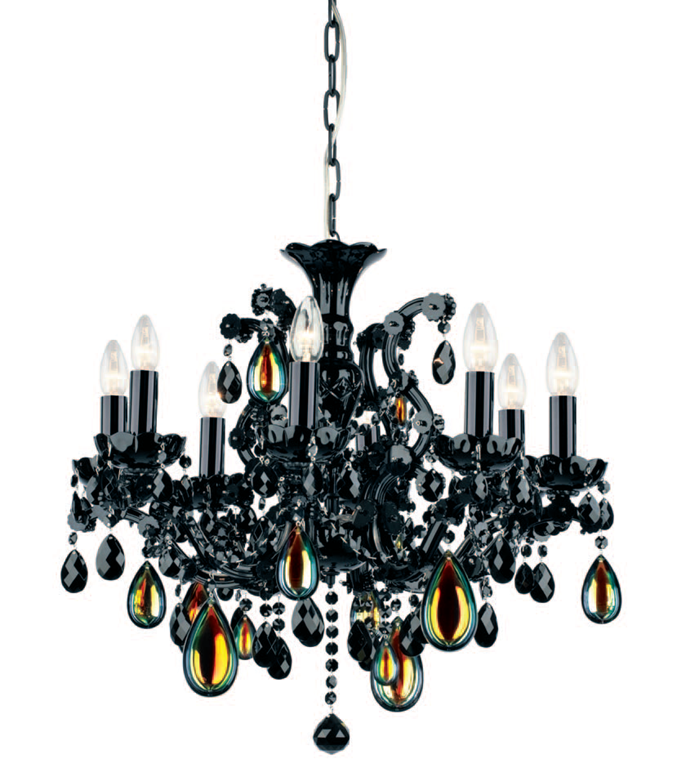 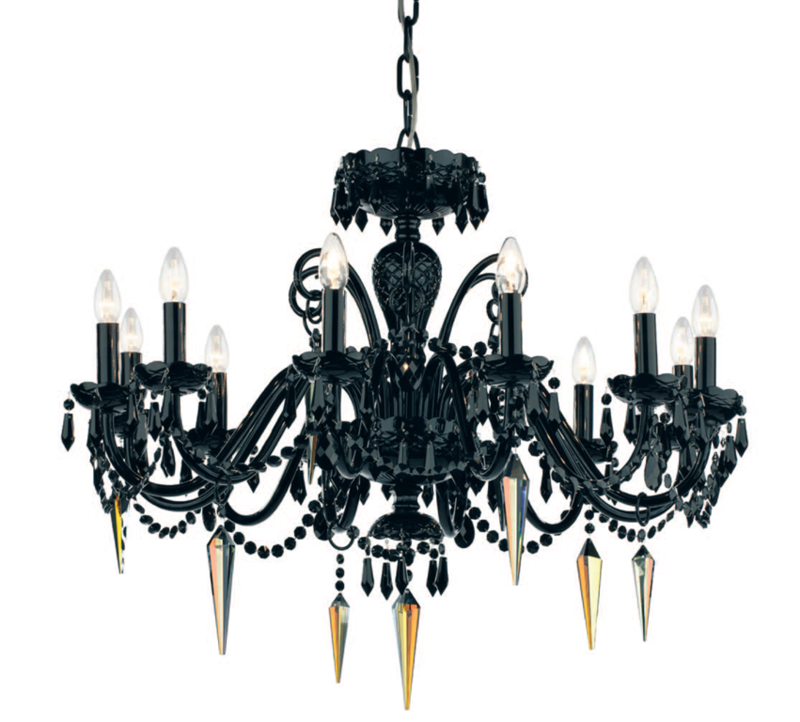 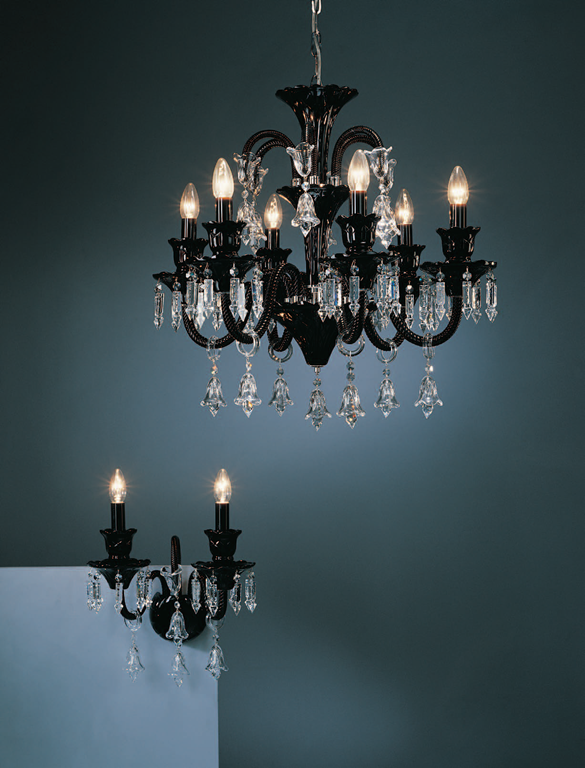 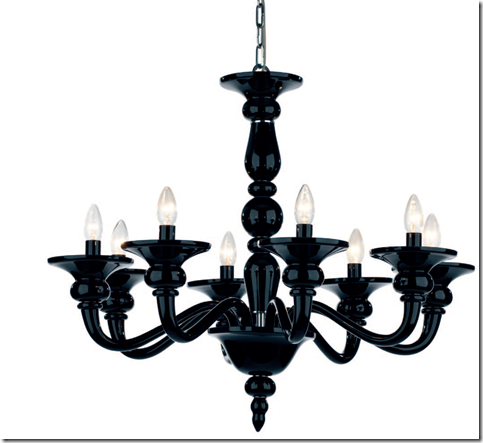 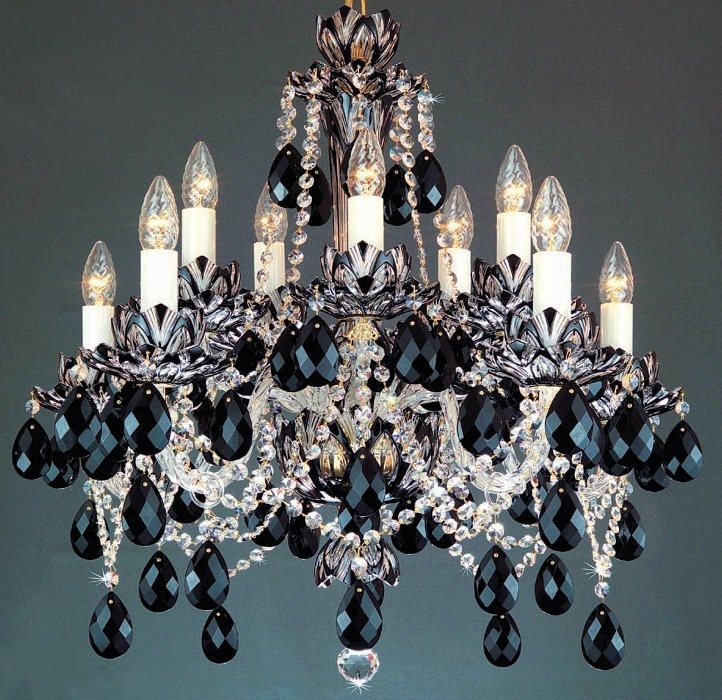 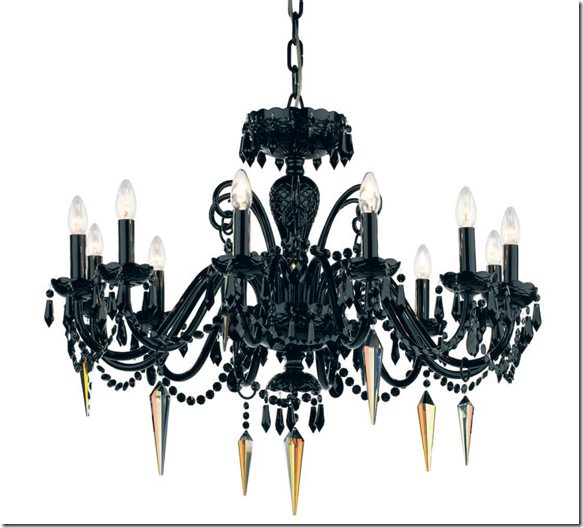 There are various degrees of “blackness” within black chandelier designs and therefore plenty for you to choose from. 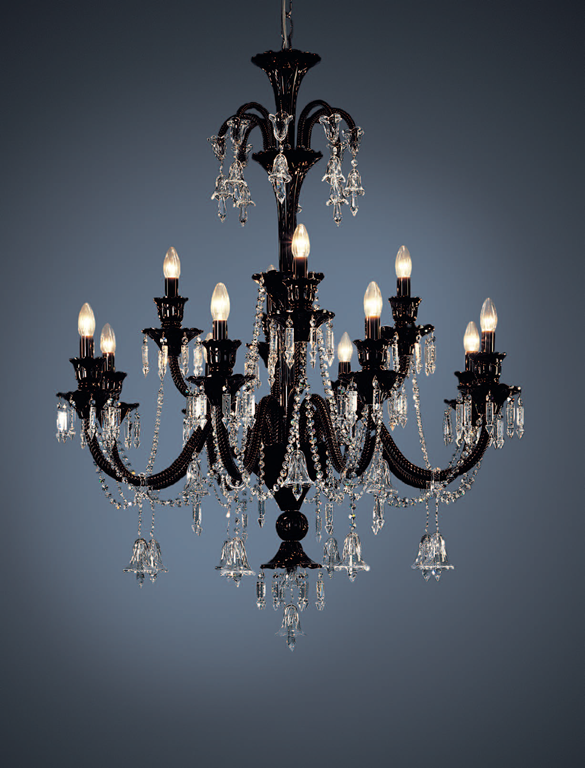 Your choice would be influenced by the other features within your design to achieve the right balance of colour and also to make sure that the chandelier isn’t too heavy and doesn’t pull the attention right to the centre. The next best conservative chandelier option would be clear with black trimmings. 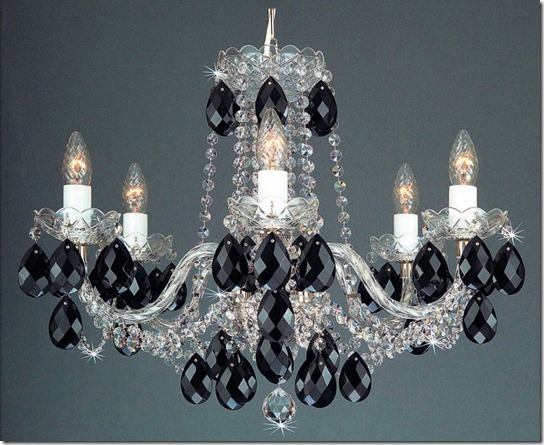 This is a fabulous option as you can choose any chandelier you like and just have the trimmings changed. 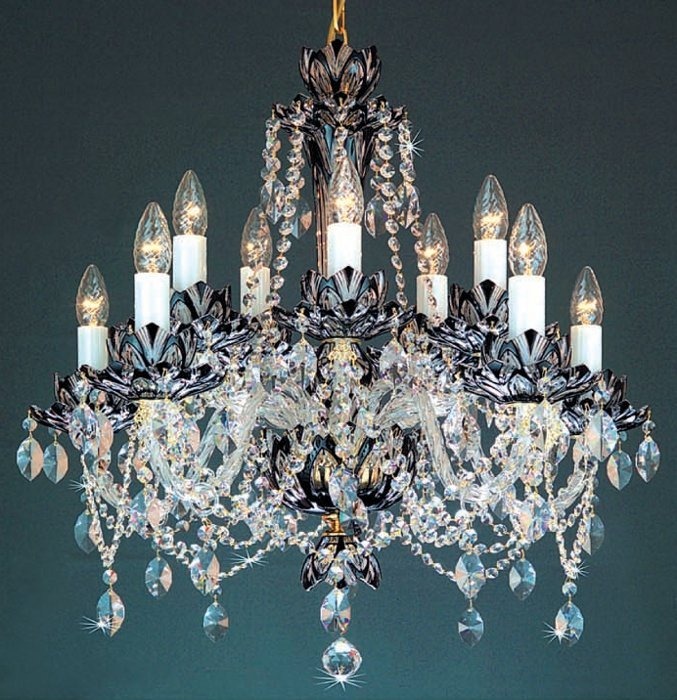 Another thing you can do is to buy completely clear chandelier plus extra coloured crystals so you can revert to neutral should you choose to change your colour scheme again. 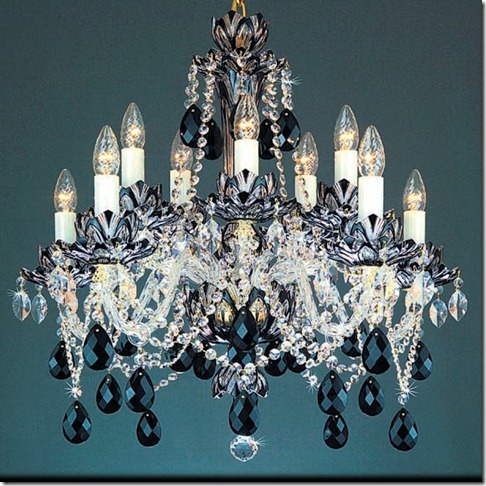 B) dining rooms – white table with black table ran and black plates , few exceptional dressing pieces strategically scattered around the room in prominent places such as fireplace, window sill or any other dining room furniture. C) Study – just black desk as a base piece and you can play around with the room in many ways. It is however rather important to select the right period base piece as this determines the tone of the whole room. 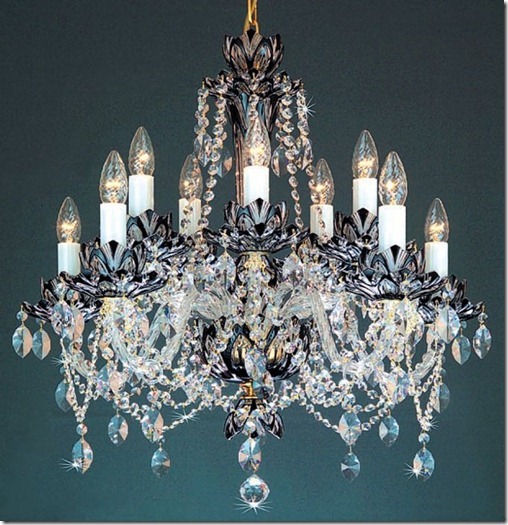 Buy this I mean that if you chose for instance an art deco desk it would be right to add Georgian complimenting pieces. 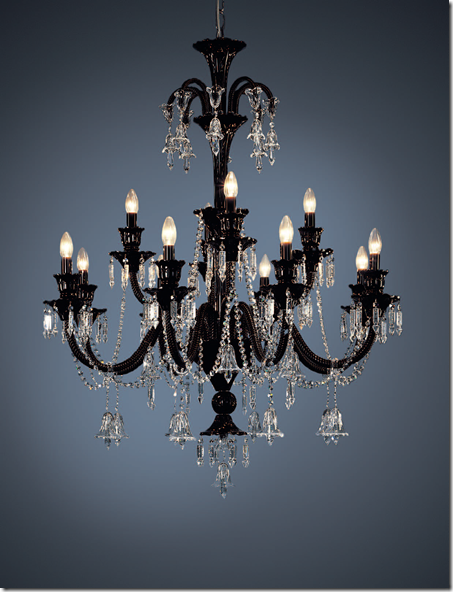 It is not impossible, but only very few people can pull it off. 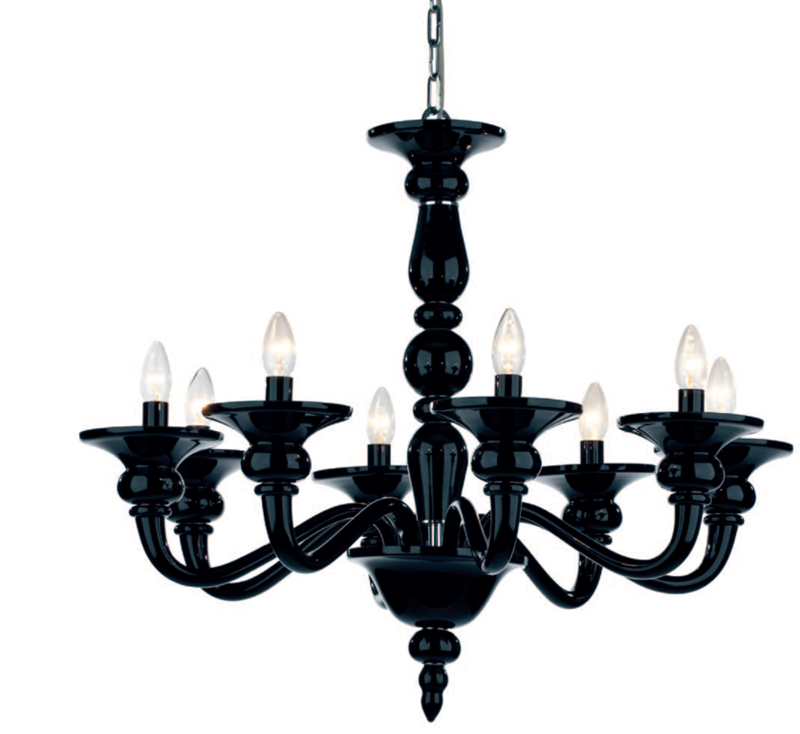 The simple black chandelier can simply be placed in any room, perhaps with the exception of bathroom where you need an advice from your electrician with regards of zones. So if you do incorporate black into your design please think of the black chandelier and give it a chance. 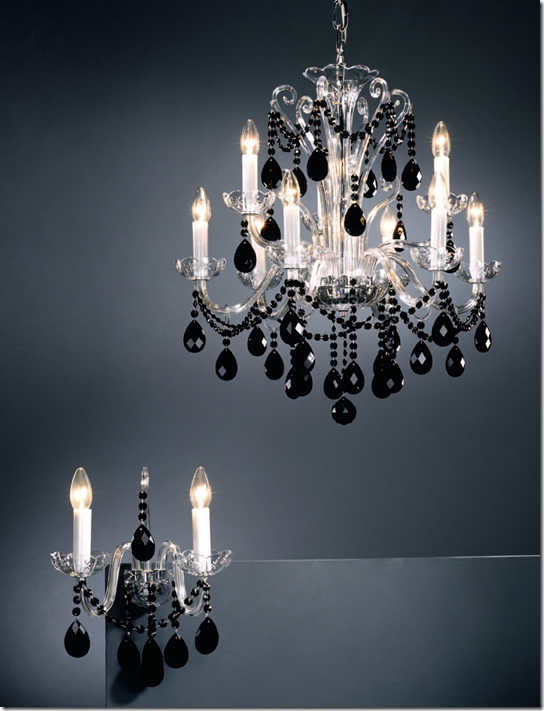 Are the either of the first 2 black chandeliers available in the uk for purchase. 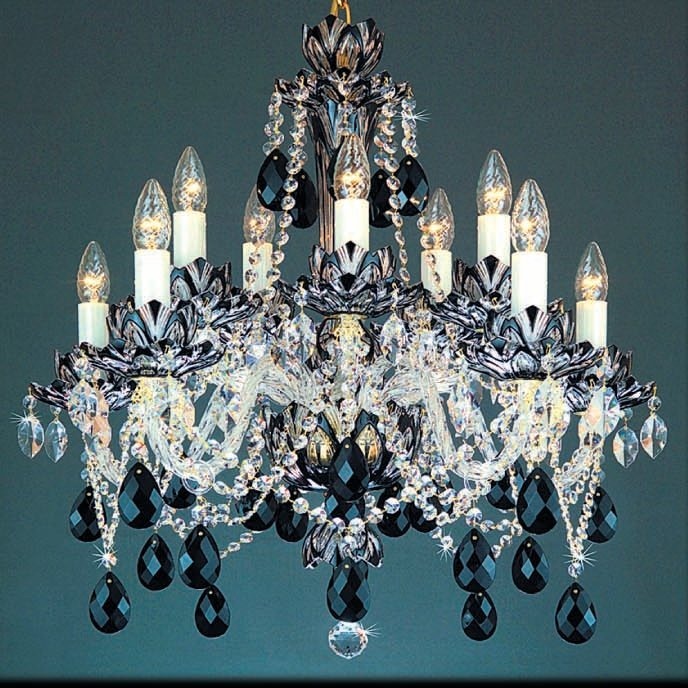 Please contact me by email.